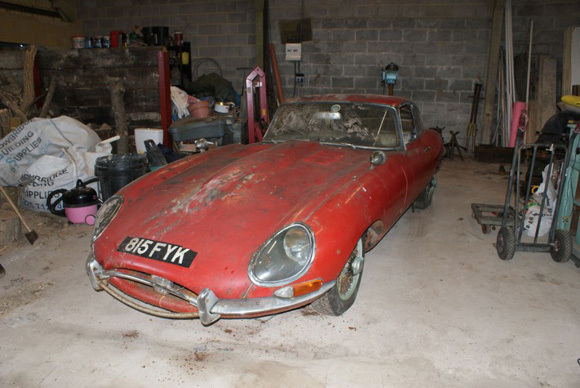 Despite having no sale reserve, a 1963 Jaguar E-Type found under a hedge in the village of Bisley in Surrey could sell for thousands of pounds at an international car auction in London on Tuesday 8th March. 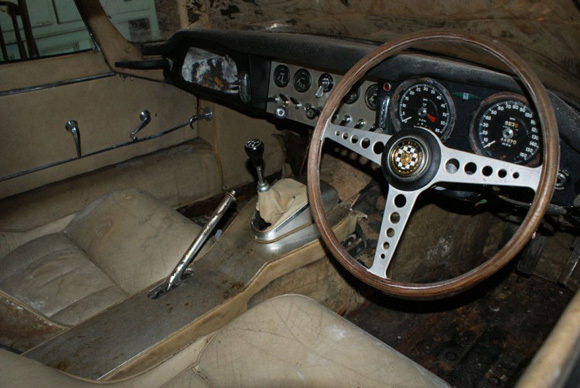 E-Types have become extremely popular with collectors over the last couple of years and this car, which shows just 44,870miles on the clock and still has the last tax disc on the windscreen which expired in November 1969, is already attracting attention from around the world. The car’s first owner in May 1963 was Ivor Arbiter. Ivor owned Drum City and Sound City in London and was at the centre of the 60s music scene. He was the designer of the ‘drop – T’ logo for The Beatles. Beatle’s Manager Brian Epstein requested that the band’s name appeared on the bass drum so Arbiter sketched the “drop-T” logo on a scrap of paper with the capital B and dropped T to emphasize the word ‘beat’. Drum City was paid £5 for the design and it was hand painted by local sign writer, Eddie Stokes, who painted bass-drum heads for the store during his lunch hour. 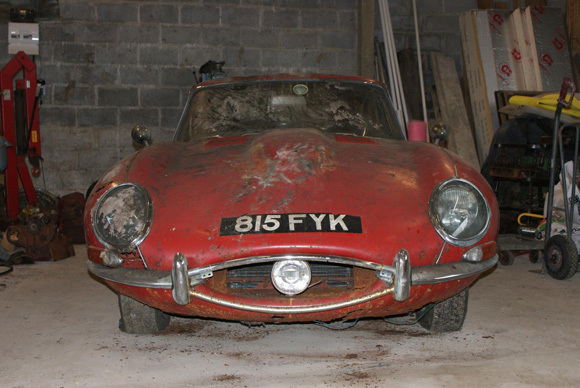 The car changed owners a couple of times between 1965 and 1967, when it moved to its last owner Frank Riches. 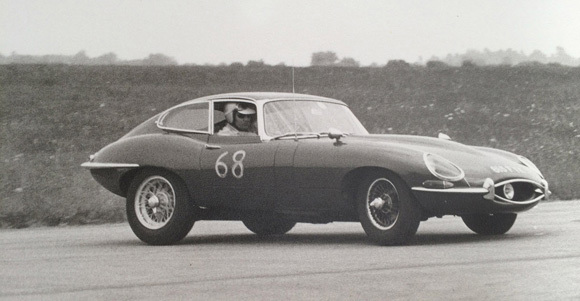 Frank was a keen motorsport enthusiast and raced both the E-Type and his MGTF at Oulton Park, Brands Hatch and Blackbushe between 1967 and 1969. Frank would drive the E-type to the circuit with the MG behind and would then race both cars and drive home. 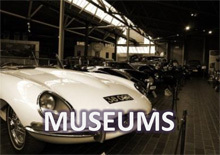 The classic car was put into storage in a lock up until the 1980s. It was then moved it to his garden where is remained under a tarpaulin until the present vendor rescued it in 2015. James added: “This wonderful Series 1, 3.8 E-Type is in original condition, with matching numbers and has never been restored. It retains all the features it carried in 1969 and is possibly one of the most original examples remaining today. 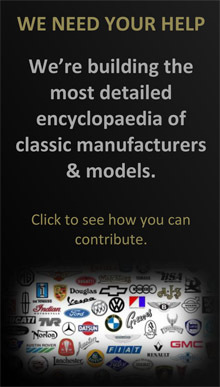 The car needs a total restoration but it has all the ingredients to make a superb car – this is a true rarity!! This fantastic E-Type comes with its original brown log book, V5 and V5C, its last MOT certificate dated November 1968, the sales invoice to Frank Riches for £855 along with the Heritage Certificate confirming all the important details. It also has its original Operating Maintenance & Service Handbook, Service Manual and Spare Parts Catalogue and the original jack. 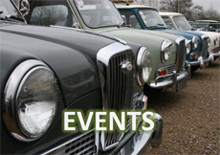 COYS Spring Classics auction takes place at the Royal Horticultural Society, Lindley Hall, Vincent Square, Westminster, London, next Tuesday, 8th March at 7pm.